It’s getting cooler out and that’s when we start thinking about larger projects that may be needed for Spring. Boardwalk DIY Studio is working with local fence companies to offer our first season of adirondack chairs (early Spring). 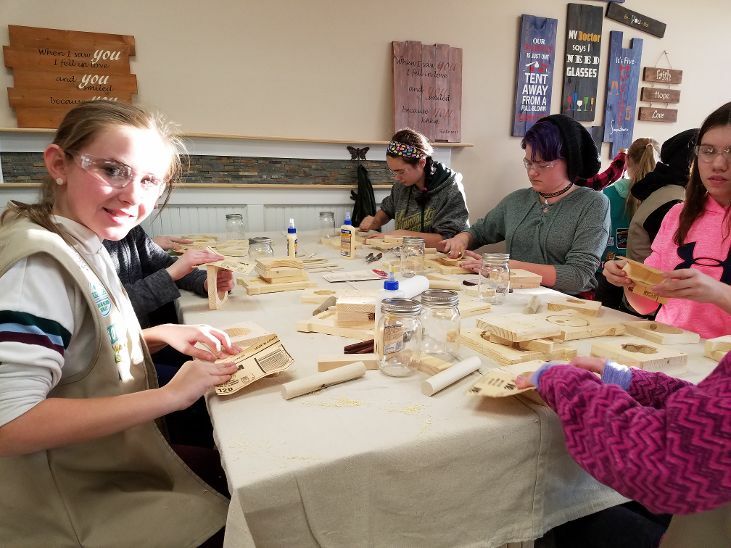 Through the cooler months of the year (October - May), Boardwalk DIY Studio is offering boys and girls - ages 12-18* - the chance to help build a wooden kayak. This is a 6 week project, 1 day per week and normally - 2 hrs per day. Oh Yeah! We were rock'n on Tuesday! 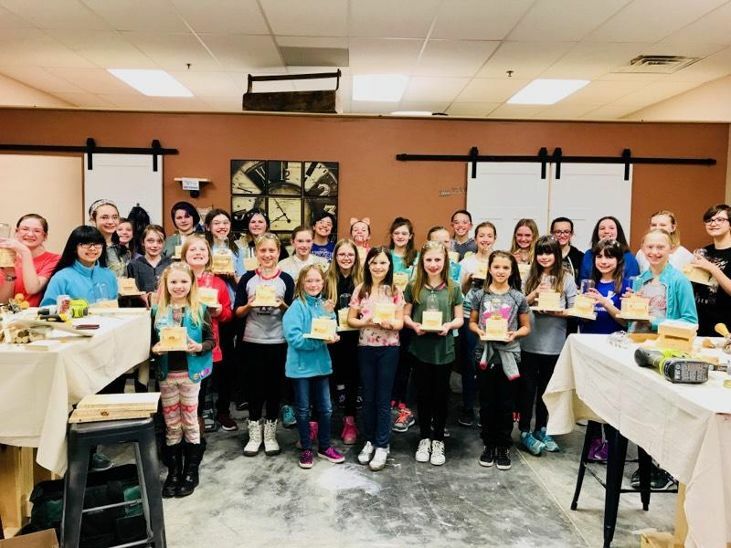 31 girls and select adults were active at the Studio March 27th as we built gumball machines from a seven layer pine sandwich and one lucky mason jar. 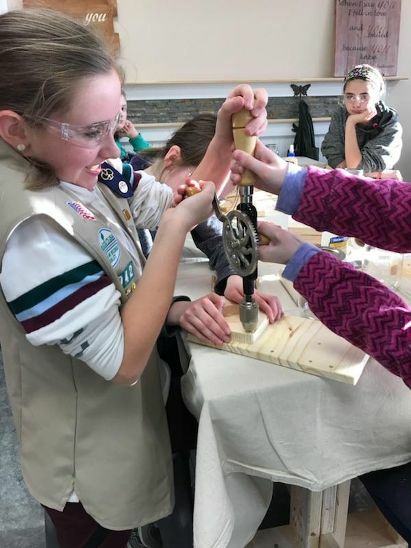 The girls got to experience 'egg beater' hand drills and a ton of sanding. They also used wood joints such as edge glue, dowel joints and face gluing. Our single board designs are very popular. Updated Product Introduced - Focus Group A Success! Check out our new wall display projects.